We have over 150 products to make gardening a breeze. We're always developing new products. ZipPay let's you shop today and pay later for your purchases with no interest ever. Read more here. What’s the difference between Hoselink and other hose fittings? The most commonly found hose fitting in Australian gardens is the click-on style hose fitting, featuring a male end at the tap and at the watering accessory and female end on either end of the hose. There are 2 main weak points in the click-on system, available in plastic and brass models. The first is that the hose is not gripped securely in the female end, often resulting in the hose bursting out of its fitting when the water is turned on. The second is in the retention claws inside the female end. The retention claws are designed to grip the male end but are weak and susceptible to failure, resulting in the male end releasing when water pressure is applied. When joining 2 click-on style fitted hoses together, another piece called a hose joiner is required to connect the 2 female ends. The strength required to pull down the collar on the female end makes click-on hose fittings difficult for arthritis sufferers to use when changing accessories or moving their hose from one tap to another. Many click-on hose fittings are made from low grade plastic and easily break. They then become a frequently replaced item, with some people replacing them on a yearly basis. In comparison, Hoselink hose fittings address all of these issues and present a new way of using a garden hose. Fitting a hose into a Hoselink hose connector takes a minute more than the click-on style fitting but once fitted, will stay in place and never budge because of the white split ring and internal barb clamping the hose to the hose connector. Every component of the Hoselink system has an identical face, meaning no separate hose joiner piece is necessary when joining hoses together. Any hose, tap connector or accessory connector will fit together, making switching around as straightforward as a simple point and twist action. The elongated egg-shaped design of the fittings makes them easy for those to use without great hand strength and the strong nylon construction means they will last for years in the harshest of conditions. What makes Hoselink fittings so good? There are a number of reasons why Hoselink fittings are superior to the unreliable connectors commonly found in Australian gardens. A hand on either side of the fittings allows users to connect or disconnect with a simple point and twist. The simple design is suitable for users of any age, including those with arthritic hands. The smooth elongated egg share of the joined fittings means they easily slide around the garden and do not catch. The green and gold colours of the fittings are also complementary in the garden. As there is no male or female end, this permits multiple hoses to be joined together without the need of a separate joiner. This provides a level of versatility not seen in hose fittings previously. Using Hoselink hose fittings means removing click-on type hose fittings and replacing with Hoselink hose fittings. It is important that there is compatibility between the 2 types of fittings as many users have existing watering accessories they want to continue using. Hoselink is compatible in one of two ways – either by removing the click-on fitting and replacing with Hoselink hose fittings or by use of a Click-on Adapter Set. There are 2 sizes in Hoselink hose fittings to fit any standard 12mm or 18mm internal diameter flexible garden hose. Hoselink hose fittings have no moving parts, which makes it more durable and secure. They are made from strong nylon fibre and are designed to last for many years in the harshest of Australian conditions. I’m just getting started with Hoselink, what should I buy? This depends on your budget, needs and preference. There are 3 easy ways to get started with Hoselink so you can enjoy a better watering experience. This is a great value introduction to the benefits of using Hoselink fittings. 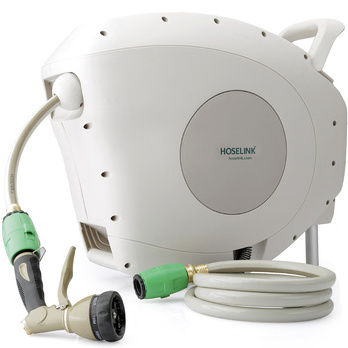 Hoselink starter kits include connectors for the tap and hose and come with a sprayer. You simply remove your current hose fittings and replace with Hoselink’s no-burst connectors by following our simple step-by-step guide. To view our selection of Starter Kits, click here. If you want to replace your current garden hose and would like it pre-fitted with Hoselink connectors, this is a great first purchase. Hoselink garden hoses are high quality and kink-resistant and come pre-fitted with our no-burst fittings. Buying a hose & fitting kit is great value too! To view our selection of garden hoses, click here. This is the bees knees of watering and if you don’t believe us, just read the reviews! If you really want a convenient, tidy and easy to use way to use your hose, then a Retractable Hose Reel is for you. The hose is spring-loaded and can be extended and retracted at your command, meaning no more messy hoses to tangle with. The wall mounted unit is always neat and tidy, ready for the next use. To view our selection of Retractable Hose Reels, click here. Can I use my existing watering equipment if I switch to Hoselink connectors? The short answer is yes! Whether you’re trying to connect a Hoselink-fitted hose to a sprinkler, sprayer, pressure washer or other watering device, you’ll be able to connect natively by converting it to Hoselink or via an adapter. The first step is to determine whether you can connect natively because this will give you a watertight hose connector system from end to end – after all, that’s why most people want to switch to Hoselink! If you look at the connection on your existing watering accessories, you’ll notice the click-on style male connector. In many instances, you can unscrew and remove this connector and replace it with either a Hoselink Accessory Connector or Hoselink Universal Tap Connector. If the click-on style male connector cannot be unscrewed or is molded in, then you can use the Hoselink Click-on Adapter Set to convert the device and connect to Hoselink on your hose. Where can I buy Hoselink products? You can only buy Hoselink products direct from us online or over the phone, Hoselink is not available in stores. For your convenience, Hoselink offers free delivery when you order over $30 Australia-wide. If you live in the Sydney area, you’re welcome to visit our Brookvale warehouse outlet which is open Mon-Fri 9am-5pm (closed weekends and public holidays). 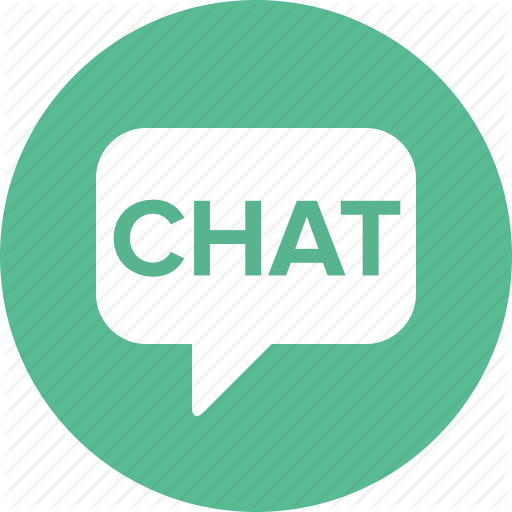 We also exhibit at various shows and events throughout the year, for our event calendar, click here. If I order online, how long does delivery take? Our goal is to get your order to you as quickly as possible. Typically, your order will be dispatched within 24 hours (except weekends) and picked up by the courier or AusPost. Most customers can expect to receive their order within 5-7 working days or 7-10 days for WA and remote areas. To keep you informed, you’ll receive updates during the delivery process.